When it comes to water bottles, the choices seem endless. By now you probably know all the problems with disposable plastic water bottles, even the so called green bottled water have on the environment, but what about you? 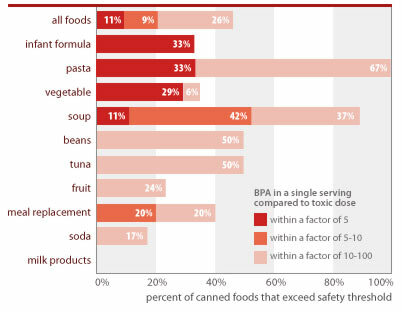 Lately there has been a big deal made of Bisphenol A or BPA. BPA is a estrogen hormone mimicking chemical and has been linked with all kinds of bad stuff, including breast cancer, early puberty, and problems in infants and is found in some surprising places including reusable water bottles and canned fruits and vegetables. This was a problem with some reusable plastic and aluminum bottles (aluminum water bottles require a liner to prevent corrosion). Fortunately this has been addressed for most of the big name manufacturers including new production models of Nalgene, SIGG and Camelbak. Bad for acidic, hot items and solid goods. When choosing water bottles, stick to a reputable brand. There are many Chinese manufactures out there which continue to line their aluminum water bottles with materials which leach BPA, and buying plastic Number 7 water bottles does not guarantee that it does not contain Bisphenol A. Number 7 as a plastic type means any plastic that is not in the first six, not necessarily a BPA free plastic. faucetface.com has some cool glass water bottles as well. Thanks for the recommendation Mason, they are indeed cool bottles! Thanks for sharing the news about water bottle choices!